The Low pH Good Morning Gel Cleanser is designed with tea tree oil and other natural ingredients for a gentle but effective formula with a pH of 5.0-6.0. With the optimal pH for the skin, the Low pH Good Morning Gel Cleanser not only restores the optimal balance to reduce irritations, it deeply cleanses without you or your skin noticing ! Cryptomeria Japonica Leaf Extract- this is a humectant; it’s used to reduce the loss of moisture. Nelumbo Nucifera Leaf Extract- this is a skin conditioner. Ulmus Davidiana Root Extract- this is a skin conditioner. Pueraria Lobata Root Extract-this is a humectant; it’s used to reduce the loss of moisture. Melaleuca alternifolia Leaf Oil- this is better known as tea tree oil, and it is an antioxidant that is great for treating acne. 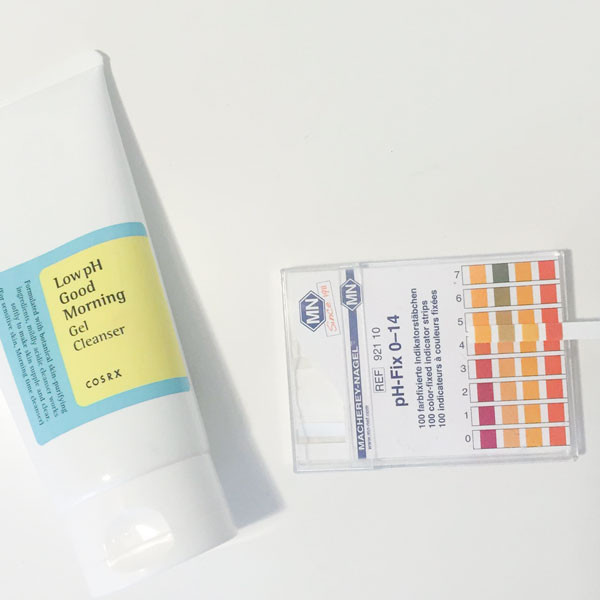 Why a low pH cleanser? Our skin pH is naturally acidic and normal cleansers out there tends to be more alkaline because it helps to remove the grime and dirt more effectively. However, it actually causes the skin to dry out and become irritable.